ANDY ONCALL® will repair, free of charge, defects in workmanship performed under contract for one (1) year. Warranty is for labor only, and does not apply to material failure, normal wear and tear, acts of God, or a change in the Customer’s mind. Warranty becomes effective when complete payment has been credited to ANDY ONCALL®’s account. Warranty work does not extend the original warranty period. Incomplete payment or separate payment made to the Craftsman, for any reason, voids the warranty. ANDY ONCALL® has the right to refund a portion of the cost in lieu of work completion or warranty work. Warranty work is to be performed by the original Craftsman, if available. If the Customer or Customer’s contractor modifies work performed by ANDY ONCALL® in any way, the warranty is void. Neither the warranty nor the contract is transferable. All claims must be accompanied by original contract. Certain work is excluded from warranty including, but not limited to, caulking, grouting, drywall cracks, blocked plumbing, roof repairs, gutter guards and leaks of any type unless the unit is replaced (for example, a faucet). Estimate is for labor only and does not include materials. Customer may supply materials or may request ANDY ONCALL® purchase and transport materials. ANDY ONCALL® reserves the right to approve Customer supplied materials. Customer must approve all materials supplied by ANDY ONCALL® prior to use. Customer agrees to reimburse ANDY ONCALL® for all materials purchased or supplied. Materials may include but are not limited to: consumable tools (like sandpaper), tool rental, delivery charges, dump fees, etc. ANDY ONCALL® provides no warranty on materials and no reimbursement for any materials will be made under any circumstances. If materials are found to be defective due to no fault of ANDY ONCALL®, additional cost may be required to replace the defective materials. All selections relative to style, color, texture, etc. are the sole responsibility of the Customer. ANDY ONCALL® does not guarantee matching of existing paint, stain, tile, caulk, grout, texture, brick, mortar, etc. Unless otherwise stated on contract, estimate is for one coat of paint only. Permits, utility flagging, and debris removal are the sole responsibility of Customer unless otherwise stated on the Contract. All changes to the contract must be made in writing and initialed by the Customer. If hidden problems are discovered during the job, the Craftsman will stop all work and rebid the job. Estimate is valid for 30 days and is based on the Craftsman listed doing the work. Another estimate will be required if the listed Craftsman is unavailable for any reason. 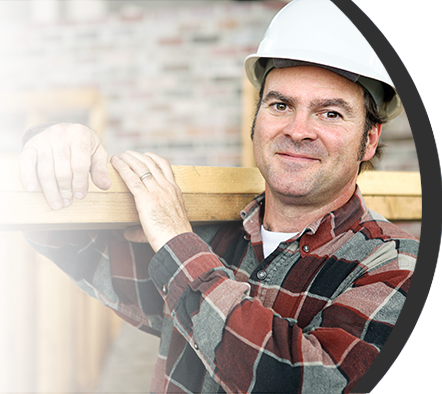 If the Craftsman’s association with ANDY ONCALL® terminates or he becomes unavailable or the Customer requests a different Craftsman, either the Customer or ANDY ONCALL® may cancel the contract, and payment will be due based on the work completed. This contract supersedes all other previous contracts, agreements, and advertisements, written or oral. There are no other warranty’s/guarantee’s expressed or implied and there is no liability for consequential damages of any kind. Any representations made by the Craftsman other than those set forth on contract are hereby disclaimed by ANDY ONCALL®. Customer’s signature by job(s) authorize craftsman to begin work. Payment in full is due at completion of work authorized under contract. Signature on contract indicates customer has inspected and accepted quality and completion of all work performed under contract. Surcharge of $25 will assessed on all return checks.